Sgt. 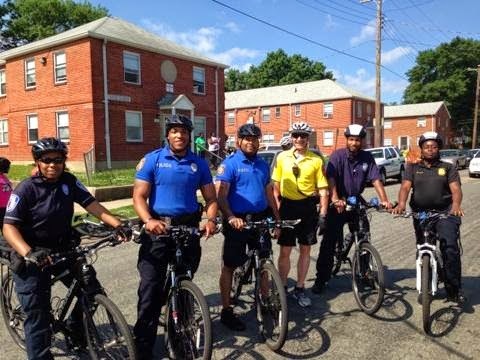 William Judon joined Richmond Police Department Faith Leaders Partnership and Richmond Housing Authority for their 11th annual bike-a-thon. 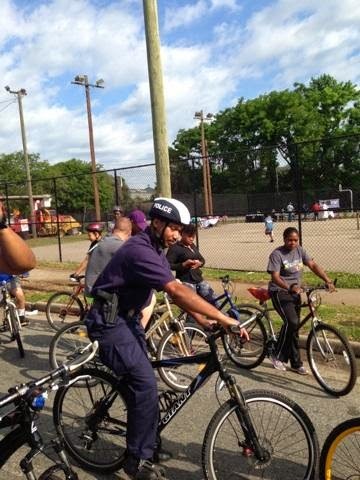 The community event was held in Jackson Ward with approximately 100 cyclist riding 5.3 miles throughout the city. 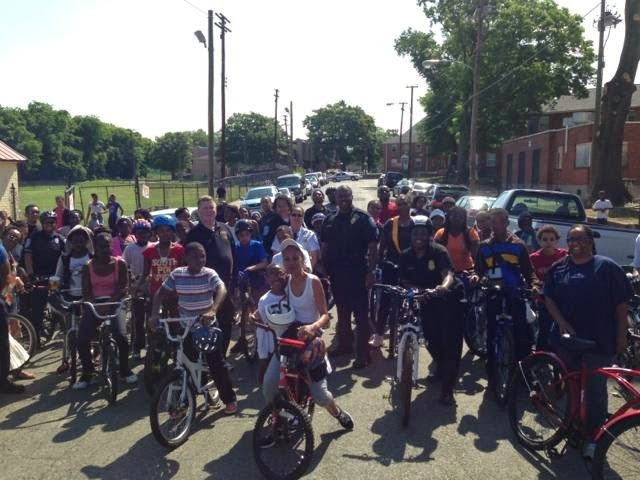 Youth, parents and adults were provided bikes and helmets and were able to keep them after the event. Joining officers Bryant and Judon were 14 additional officers who participated from Richmond Police Department, Virginia Commonwealth University Police Department, Virginia Union University Police Department and Capitol Police - Richmond Ambulance, Richmond Fire Department, Authority, Neighborhood Assistance Officers and RPD recruits also participated in the event. The ride which was enjoyed by all was followed by a community cook out. Great job riding Sgt. Bryant and Sgt. Judon! During the month of April the Professional and Administrative Faculty Senate sponsored a "Spring into action for our veterans" drive to gather toiletries and clothing items for veterans residing at the McGuire Veterans Medical Center in Richmond. 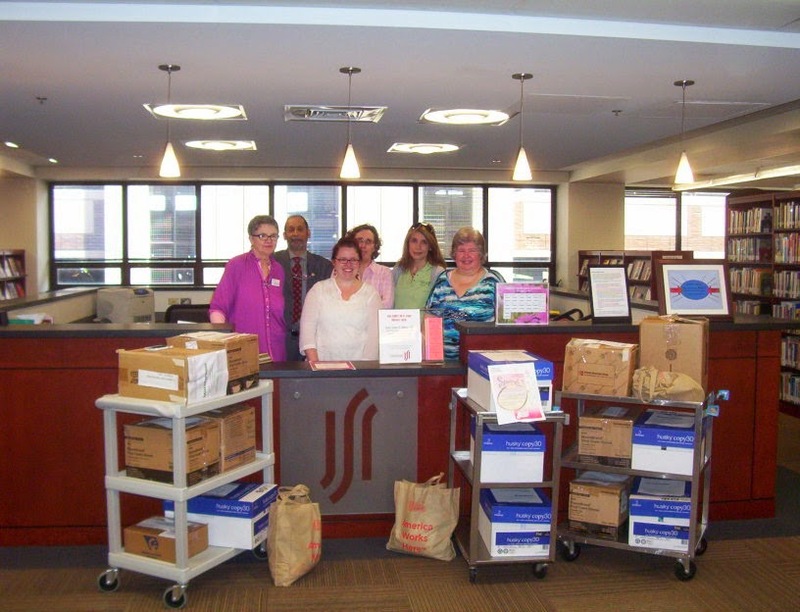 The effort was a resounding success, with 1,800 items collected and delivered to the hospital on Monday, May 5. Toiletry items collected include brushes, combs, lotions, denture cleaner, lip balm, toothpaste, mouthwash, shampoo, toothbrushes, deodorant, floss, conditioner, shaving cream, razors, soap, and tissues. Clothing items collected include socks, t-shirts, underwear and shoe laces. The Goochland Campus led the three campuses in the collection of donations, but it is clear from the large number of items donated that the entire college community appreciated the opportunity to show their gratitude and express their appreciation to the hospitalized veterans. Carol Rodi noted, "The Professional and Administrative Faculty Senate was proud to sponsor the second annual 'Spring Into Action for Veterans.' This drive is aimed at supplying our hospitalized veterans with items that are sorely needed, but that the hospital does not stock. This year, we tripled our goal with 15 boxes of 1800 separate items collected. Thanks to all who participated." Congratulations PAVE Class of 2014!